Autophagy is a general term for cellular pathways that move something from the cytoplasm of the cell into the lysosome for degradation. The term comes from the Greek ‘auto’ (self) and ‘-phagy’ (to eat). So when you see articles touting ‘autophagy diets’ as the latest and greatest for longevity or beautiful skin, realize that the term is just a general one that applies to a cellular process that goes on all the time in our cells. Let me see if I can explain a bit of the biology behind this, and then I’ll go into how your genes play a role in autophagy. Back to high school science class: Inside almost every cell in the body is an organelle called a lysosome. It is made up of a membrane that surrounds a bunch of different enzymes for breaking down proteins. This is a way our cells can clean up after themselves, and also how they get rid of foreign invaders like bacteria. Autophagy is the pathway involved in forming an organelle called an autophagosome, which is a vesicle that engulfs the things inside a cell that need to be gotten rid of. My mental image is that the autophagosome is like a trashbag forming around the cellular junk that needs to be taken out. Then that trashbag (autophagosome) meets up with the lysosome, which is like throwing the trash into a big vat of bubbling acid (yep, I watched too much TV as a kid) with enzymes in it that break apart the trash. Perhaps add in a bit of chomping PacMan action to complete the mental picture? So what kind of “junk” is in our cells? This can be anything from unused or misfolded proteins to lipids to damaged organelles such as damaged mitochondria. Autophagy – or the creation of an autophagosome around the damaged organelle – then leads to its disposal via the lysosome. Additionally, intracellular bacteria and viruses are also engulfed and then destroyed (a specific type of autophagy called xenophagy). First, when the mitochondria in a cell stop functioning optimally, they need to be destroyed so that new mitochondria can be formed. Also, mitochondria that aren’t functioning optimally are more likely to create reactive oxygen species (ROS) which can cause cellular damage. Second, a decrease in or problem with autophagy is associated with neurogenerative diseases such as Parkinson’s and Alzheimer’s. [ref] The proteins that cause these neurodegenerative diseases can be cleared in part through autophagy. Additionally, autophagy plays a role in clearing intracellular (inside the cell) pathogens. This comes into play with inflammatory bowel diseases where genetic problems with autophagy are linked to increased risk of IBD. Finally, autophagy also plays a role in hair loss[ref] and the aging effects on the skin. [ref] Age spots and lighter patches are likely due to autophagy not happening efficiently enough in skin cells. Like most cellular processes, there is an optimal window of activity. 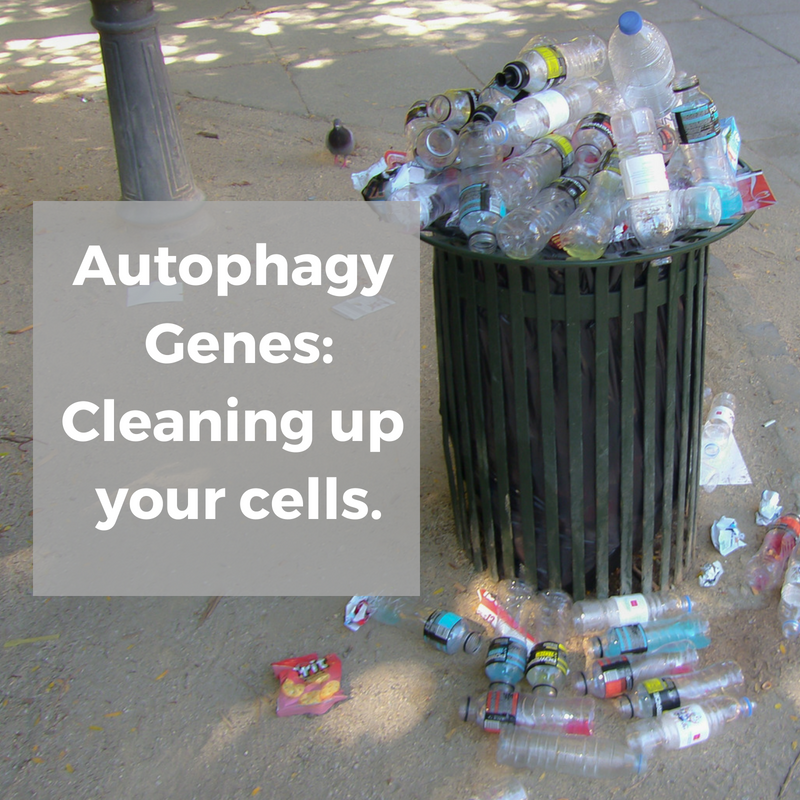 Too little autophagy leaves a ‘dirty house’ and too much can lead to cell death. How does the body regulate this process? There are several factors that come into play here. mTOR (mammalian or mechanistic target of rapamycin) is one of the negative regulators of autophagy: a decrease in mTOR causes an increase in autophagy. Insulin-like Growth Factor 1 (IGF1) causes a decrease in mTOR activity under conditions of mild starvation. This then upregulates the creation of autophagosomes. Additionally, autophagy can be activated by AMPK, which increases with which can directly activate autophagy and also inhibits mTOR. So what is mTOR? Basically, it is the signaling pathway that tells cells that it is time for growth. mTOR is activated when there is plenty of A/TP and amino acids (especially leucine and glutamine[ref]) available in the cell. This then signals for cell growth. If you are a bodybuilder, anabolism (building up of muscles and cells) is what you want, and there is a lot of information in the bodybuilding community regarding activating mTOR. There are questions, though, about whether it is good to always activate mTOR. These questions come into play when looking at its role in cancer (when you don’t want cell growth), as well as the necessary function of autophagy for getting rid of defective mitochondria, etc. Again, our body needs to a balance between anabolic processes (signaled by mTOR) and catabolic processes (such as autophagy). Fasting – and a lack of specific amino acids – induces autophagy. This would have been a natural state of the body in the past when food wasn’t readily available at all times. Back when there wasn’t a 24-hour McDonalds’ drive-thru available, people sometimes went hungry for a little bit! 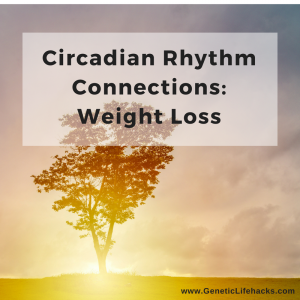 So it seems that our bodies are naturally prone to balancing out the times that we build up cells with the times that we clean up and break down unneeded components. Recap: Autophagy is the natural process by which the cells can clear out damaged mitochondria, recycle proteins, and get rid of intracellular pathogens. We need a balance of autophagy with anabolic processes. Fasting is one way to naturally induce autophagy. There are about 30+ different proteins involved in the formation of the autophagosome. Researchers are still actively figuring out how all of the bits and pieces of the process go together, but recent genetic studies have shed a lot of light on the pathway. A family of genes known as the autophagy-related genes, whose abbreviations start with A/TG, codes for several of the proteins integral to autophagy. Several of these genes have variants that have been studied in reference to pathogen susceptibility, autoimmune diseases, cancer, and sepsis. This gene acts as a regulator of autophagy. Genetic variants here have been linked to susceptibility to pathogens and IBD. If you carry some of the genetic variants above — or you just want to make sure that you clear out old mitochondria for optimal functioning — here are a few things shown to increase autophagy. The fasting mimicking diet – a low calorie, low protein diet – increases autophagy and has been shown to be protective against toxins, improves healthspan, protects against diabetes, cancer, and heart disease. [ref] Read more about the fasting mimicking diet in the book The Longevity Diet. Exercise can increase autophagy. [ref] One more good reason to get active! Resveratrol inhibits mTOR and increases autophagy. [ref] Red wine and grapes are food sources of resveratrol, or you can get it as a supplement. CBD oil, cannabidiol, induces autophagy in intestinal epithelial cells. [ref] I think CBD oil is legal in the US in most states (from industrial hemp seed), but do check on your local laws to make sure. Lithium inhibits inositol monophosphatase (IMPase), reducing free inositol and myoinositol 1,4,5 triphosphate levels (IP3). Low IP3 increases autophagy. [ref] This may be one reason that higher lithium levels in drinking water are associated with lower levels of Alzheimer’s. Lithium orotate is available as a supplement. Luteolin, a flavonoid found in abundance in broccoli, parsley, and celery, was found to activate autophagy after a traumatic brain injury (TBI). [ref] It is available as a supplement as well as in food sources. I added your email address to my newsletter list. I send out a newsletter with updated posts once or twice a month.